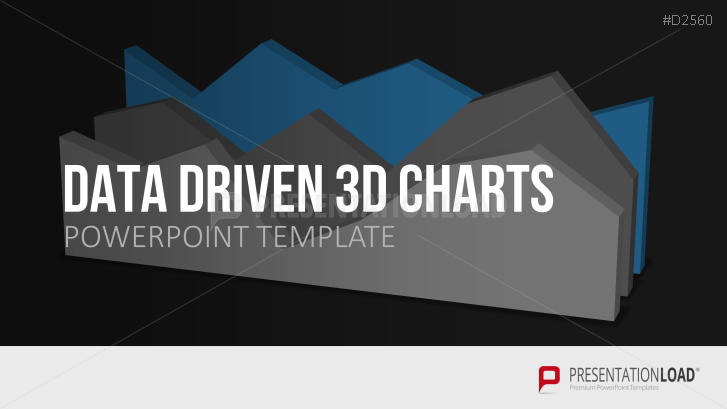 The Data Driven 3D Charts for PowerPoint include bar, column, pie, and many more data-directed diagrams in 3D optics for display and analysis of economic key figures. Whether showing the number of employees, the sales analysis, consumer behavior, project costs or demand development, important key figures of various economic sectors can be negotiated over vividly conveyed charts. The design of the 3D diagrams with several different perspectives creates professional presentations with a particularly attractive appearance. Successful boosts, alarming slumps, or special developments are more striking and visually memorable. This set includes a wide selection of popular 3D diagrams such as circular, column or area charts. These automatically adapt to the values input. Moreover, with the help of textboxes within the slides, you can complete your charts by having additional information next to the diagrams. Templates with multiple combined charts also offer the possibility of linking various analyses and results. Es Editable con Excel ?